Italian kitchen and bath products manufacturer Zazzeri has introduced a clever new stainless steel showering line, including a ceiling-mounted showerhead. Designed by architect Roberto Innocenti, the Z316 collection of bathroom fittings is part of the manufacturer’s effort to adapt stainless steel to a wide variety of indoor and outdoor products. All visible and hidden elements are made from 316/L stainless steel, the company says, and come in a brushed finish. 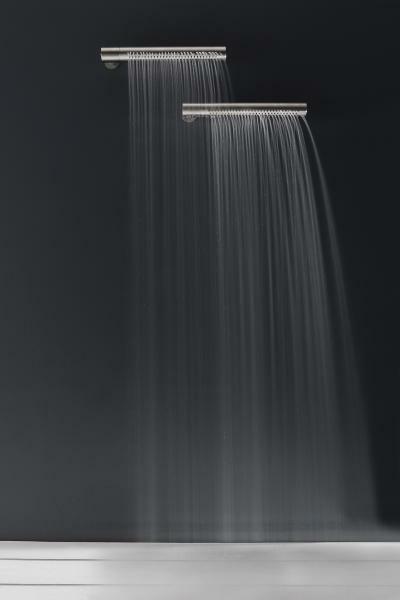 The new shower products offer a variety of shower applications and feature a tubular design. 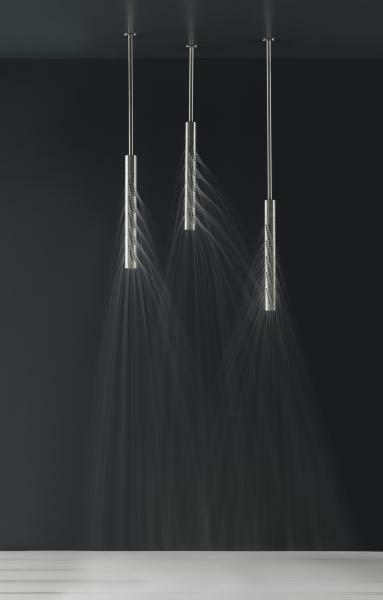 Based on a clever design feature, the vertical showers are equipped with the Flyfall system, in which the vertical showerhead uses the nozzles already oriented downward. On the other had, “the horizontal shower head uses some standard nozzles since both the position it is installed, and gravity naturally orient the water jet downward,” the company says. 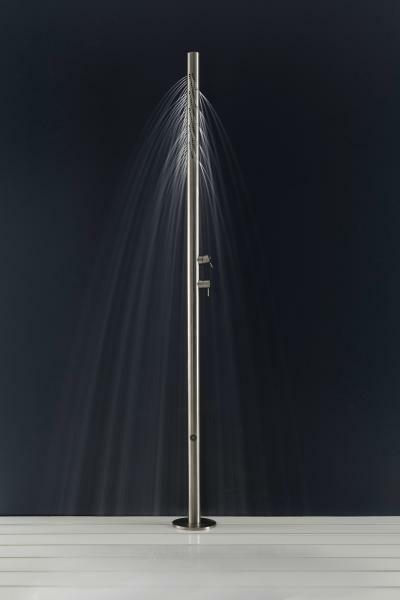 In addition, the free-standing shower head is a real shower column for outdoor settings, with two outlets and controlled by two progressive mixers—one for regular showers and another for foot baths. “All the three versions are revolving: the cylinder can be turned manually in order to orient water when the showerhead is used,” the company explains. “Steel is a material which is applicable to a vast number of items,” the company says. “In particular, given its high resistance to corrosion, its toughness, and its tendency not to interact with the environment, it is a material with marked hygienical qualities and suitable to professional applications, too. “These qualities,” the company continues, “are transferred to the items not as a simple sum, but by providing items which are manufactured with essential forms, with no surplus of material, free to express a simple design and the essence of an idea."